Ben Gleib was just named by TBS one of the "funniest comedians working today." 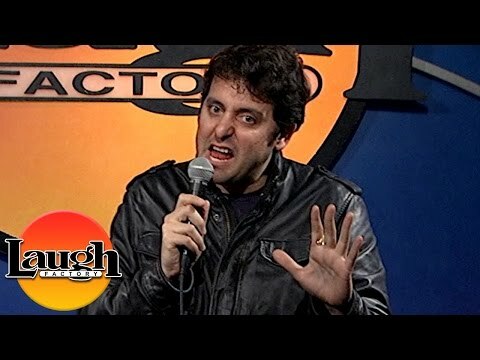 His hilarious hour stand-up special Ben Gleib: Neurotic Gangster is currently airing on Showtime. He is host and Executive Producer of Idiotest, the Emmy nominated comedy game show. With 210 episodes, it's in its fourth season on GSN, as their most watched original show. Gleib is also a regular on The Today Show with Kathie Lee and Hoda, on their “Guys Tell All” segment, and has made multiple appearances on Comedy Central’s @Midnight with Chris Hardwick. For years Ben was best known as one of the most frequent regulars on Chelsea Lately on E! with over 100 appearances. His podcast Last Week On Earth debuted on iTunes Comedy at #9, and was #1 on Stitcher for 20 straight weeks. Gleib is the first comedian to ever live stream a full headline set on Facebook Live, and he's been doing it in each city on his current tour, 100% improvised. His act is chock full of hilarious material, but he's also one of the best improvisers in stand-up comedy. An accomplished voice-over actor, he voices characters in Ice Age: Continental Drift and The Book of Life, and is one of the stars of Jay and Silent Bob's Super Groovy Cartoon Movie. He's been headlining comedy clubs around the globe since 2007, and has toured sold-out arenas with Chelsea Handler and Dane Cook. Esquire once called him one of “Six comedians who could be comedy’s next big thing.” The other five were Aziz Ansari, Patton Oswalt, David Cross, Demetri Martin, and Flight of the Conchords. It came true for all of them and it now seems to be Gleib's time.